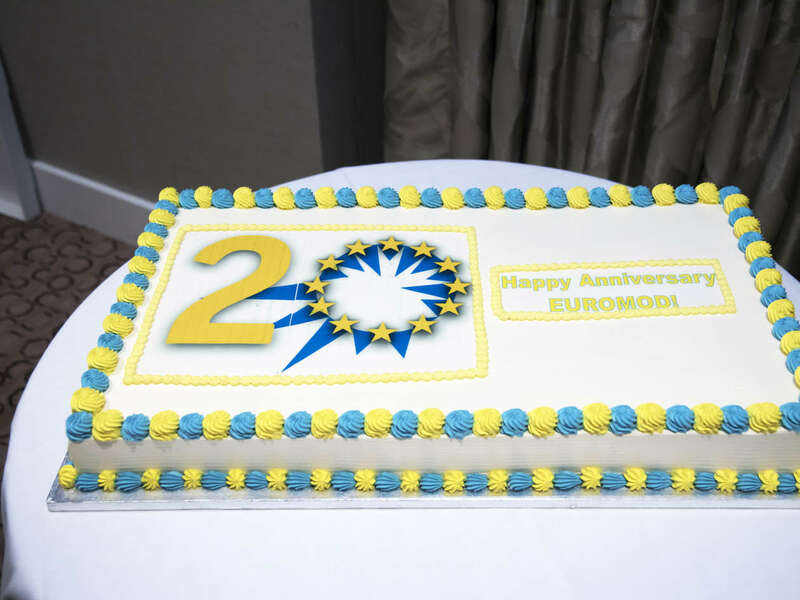 Twenty years since its invention, it is interesting to look back on EUROMOD’s history and reflect on what have been the essential ingredients and key choices in its success and longevity and how I see them shaping its future. There are two important basic ingredients that would always be important. The first is a team of clever, committed and hard-working people, motivated by the satisfaction of creating something unique together as part of a research community. The second is readily accessible high quality household micro-data to provide input data for EUROMOD and we are fortunate that the EU statistics on income and living conditions (EU-SILC) is available for this purpose for the whole EU. In 1996 the first steps toward building EUROMOD were taken by a group of academic researchers, already involved in national-level microsimulation-based analysis who wanted to do cross-country comparative research using these tools but were frustrated by the lack of comparability of the existing models and household micro-data. The need for an EU-level tax-benefit microsimulation tool was not foreseen either by funding bodies or by policy institutions; it was very much a bottom-up, research-led initiative that would not have happened otherwise. This was the first key to its success. In 2004 EUROMOD moved to Essex (from Cambridge) and started the process of expanding to cover the (then) EU-25. The software was re-designed, with the aim of maximising flexibility and transparency at the same time as making the interface as user-friendly as possible to encourage others to use it. Around this time policy institutions, including the European Commission (EC), started to recognise the value of EUROMOD analysis both at the EU level and in countries without their own national models. Since 2009 the EC (DG-EMPL) has financially supported its extension to the whole EU-28 and the annual updating of tax and benefit policies and EU-SILC based micro-data. Throughout, we have worked with a specially-created network of national teams from all 28 EU counties, many of whom take full responsibility for the updating tasks and make use of it for their own research and policy analysis. This network has turned out to be the second key to EUROMOD’s success and good reputation. It also provides a good basis for facilitating and supporting its use at national level by scholars, policy organisations and ministries. A third key to success has been the choice to make EUROMOD freely available for academic and not-for-profit purposes. A new update is released to the user community each year. The number and variety of uses of EUROMOD, in a range of different institutional contexts fully justifies the significant resources (creativity, expertise and commitment as well as finance) that go into developing it. EUROMOD is now widely used to inform policy at the EU level and nationally including as part of the EC evidence base for country assessments and reform recommendations in the European Semester policy coordination process. It is also being used, in collaboration with ISER researchers, to improve the timeliness of information on poverty and income inequality produced by Eurostat which, in turn, will contribute to a better balance between the EU’s economic and social considerations. Academic research using EUROMOD is also a resource-base to inform policy-makers and, as originally intended 20 years ago, is a unique and multi-purpose tool for research on the effects of policy and policy reforms. As is well-illustrated by the programme of the EUROMOD 20th Anniversary conference, the breadth of type of research questions as well as disciplinary perspective is remarkable. Making EUROMOD available to others requires that we maintain flexibility, consistency and coherence in the model as well as producing extensive documentation and providing training and support to users. While such tasks may not always be sufficiently recognised as components of a research career, our commitment to external users has many advantages because we work with a larger and more inspiring community of stakeholders. Now that EUROMOD is well-established and respected, many initiatives and possibilities are opening up. Two directions for extension stand out. First, the flexibility of EUROMOD offers the potential to extend policy scope using additional or alternative microdata or to link tax-benefit modelling to other sorts of economic models. Secondly, the EUROMOD software is sufficiently flexible, adaptable and purpose-specific to provide a ready-made platform for developing tax-benefit models for non-EU countries. This has been successfully achieved for many diverse countries including Serbia, FYR Macedonia, Russia, Australia, South Africa and Namibia and is currently underway for 7 more developing countries. The EUROMOD community is already global in outlook with the potential to extend the EUROMOD approach worldwide, both to countries in the developing world without such tools, and to non-EU OECD developed countries for comparative purposes. Key questions for the longer term are about how best to manage the extensions in scope and coverage while maintaining the “three C’s”, coherence, consistency and comparability. The challenges are both technical and organisational and we look forward to meeting them!